Following up on my last post on the "Toca Life" open-ended sandbox-style apps, I recently read a "Clinical Focus" article in American Journal of Speech-Language Pathology and thought it shed light on how these apps (and others) can be used in context in therapy. Fey, Long, & Feinstack (2003) sought to outline "Ten Principles of Grammar Facilitation for Children With Specific Language Impairments" with research tie-ins relevant to all ages, but particularly for ages 3-8. 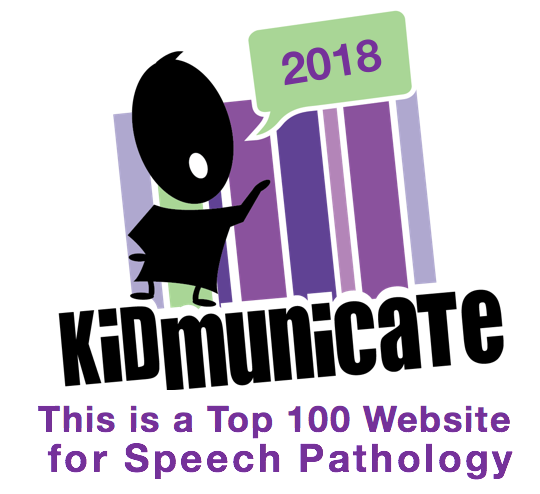 This is a great article for any SLP or language interventionist to read, but I wanted to present it with ideas related to the principles being used in context, in particular the features and content of the Toca Life Apps. 1. The basic goal of all grammatical interventions should be to help the child to achieve greater facility in the comprehension and use of syntax and morphology in the service of conversation, narration, exposition, and other textual genres in both written and oral modalities. This principle asserts a general philosophy of intervention, but for me speaks to the kind of functional communication that can be elicited through conversation and play around an app such as Toca Life: City or Toca Life: Town, and the student's greater enjoyment of communication situations hopefully as a result of that intervention. 2. Grammatical form should rarely, if ever, be the only aspect of language and communication that is targeted in a language intervention program. The authors assert that students with grammatical impairment rarely have this as their only communication problem, and that grammatical intervention alone does not always impact other areas of deficit. Toca Life apps allow for targeting of multiple goals including categorization (say, in the store or home), sentence formulation and storytelling in the context of the app. Looking for a healthy meal, the man can lay out or collect different fruits and vegetables in the Toca Life: Town store. 3. Select intermediate goals in an effort to stimulate the child’s language acquisition processes rather than to teach specific language forms. An example given in the article is the targeting of nominative case pronouns as a class rather than individually. Have a party in the Toca Life: Town or City loft apartment to emphasize what I, you, we, and they are doing. 4. The specific goals of grammatical intervention must be based on the child’s “functional readiness” and need for the targeted forms. i.e. Pick targets in the child's zone of proximal development that reflect a pragmatic need for their use in daily life. 5. Manipulate the social, physical, and linguistic context to create more frequent opportunities for grammatical targets. 6. Exploit different textual genres and the written modality to develop appropriate contexts for specific intervention targets. This is where I think such apps provide a great tool. Of course we should manipulate low-tech contexts for language targets, but apps that have many open-ended contexts make this manipulation quite easy. AND they serve as a different "genre" to work from, along with picture books, one of my other favorite tools. Toca Life: City has a world of contexts. Just think of all the action words that can come from a theatre! ...making a peanut butter sandwich could be an excellent activity for a child working on negative forms. Instead of typical ingredients, however, the clinician might have on hand things like noodles, cheese, dog food, or even a pencil, as ingredients for the sandwich. Such unlikely choices will create opportunities for sentences like, “You can’t eat that,” “That wouldn’t taste good,” or “We don’t need noodles/cheese/hot dogs.” When the proper ingredients are used and the activity has been completed, recapping the entire process can create numerous obligatory contexts for the target forms in a very short time. Note that Toca Life: Town's cafe lets you complete "recipes" (see the wall or here). Silly items to prompt negative forms can be used from the cafe itself or brought in characters' hands from other locations. 7. Manipulate the discourse so that targeted features are rendered more salient in pragmatically felicitous contexts. "The most straightforward way to increase the salience of grammatical intervention targets, especially grammatical morphemes, is to stress them by making them longer and louder and producing them with more dynamic pitch changes." Don't put her IN the bed! She should be OUT of bed. The kids are playing cars BECAUSE it is fun. 8. Systematically contrast forms used by the child with more mature forms from the adult grammar, using sentence recasts. Child: The girl eat the cake. Adult: Yes, the girl ate the green cake. 9. Avoid telegraphic speech, always presenting grammatical models in well-formed phrases and sentences. 10. Use elicited imitation to make target forms more salient and to give the child practice with phonological patterns that are difficult to access or produce. #9 is a good reminder, and #10, noted as an "intrusive" practice for social interactionists, is described to be effective in situations where targeted forms are used pragmatically and contrastively, for example, prompting "Say, 'She will play the game,'" followed by "Say, 'She played the game,'" after the action is performed in the app. As a context clinician (it's what makes it fun! ), I really appreciated the authors' references and examples in this article. Check it out for more information. Toca Boca, long one of my favorite developers of contextual digital toys, has added a powerful feature to one of their already very useful apps- Toca Life: City ($2.99 for iPad). The Toca "Life" apps allow you to move characters around interactive environments; in this app, that includes a loft apartment, theatre, food park, hair salon and mall. Characters can pick up and interact with objects in each setting and even move from place to place with objects as you act out dramatic play sequences. These features in Toca Life: City have been enhanced with the addition of screen recording-- this captures the movement and records audio as you and students speak in order to create an animation. The animation can be immediately replayed, but also saved to the camera roll for later review or even sharing! After rehearsing or storyboarding a "scene" with your students (further emphasizing your language and social targets), just tap the film icon in the upper left corner and begin recording. Though the Toca: Life apps (see also Toca Life: Town) provide great opportunities to target play skills, cooperation and social cognition, and language targets such as sentence formulation, microstructures such as verbs and pronouns, as well as overall narrative, the screen recording feature can make this work more salient, with auditory feedback on student performance. That this feature was added recently again underscores the importance of running and reviewing the contents of your app updates, which can be done in the App Store app Updates tab which provides text descriptions of changes within apps. While BrainPOP, described in the last post, is accessible by an affordable monthly subscription even if your school doesn't have it, ExploreLearning's Gizmos are more of a district investment. I would, however, encourage individuals to check it out via the free month trial, if only for exposure for how interactives connect with language. 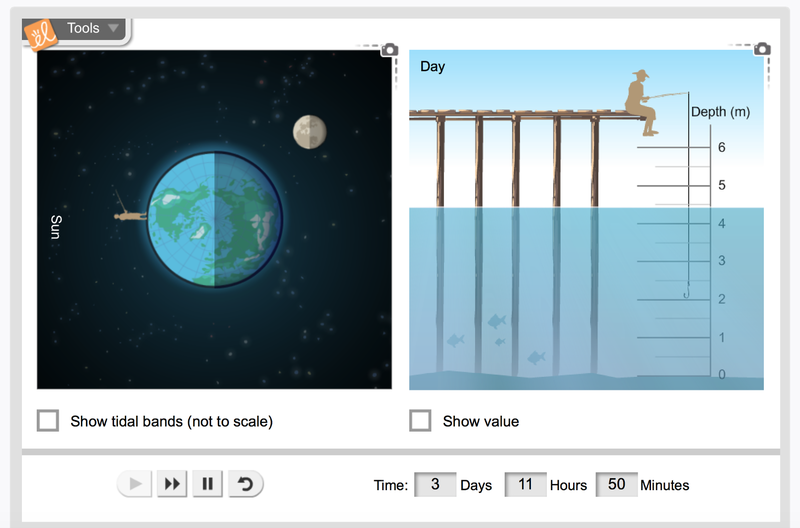 ExploreLearning (accessible also via a new iPad app once you obtain the trial login) provides interactive activities called "Gizmos" that show the sequential, cause-effect, and conditional relationships in science topics (e.g. tides, flower pollination, forces). The activities are open-ended and meant to be constructivist and inquiry-based, leading students to ask questions and draw conclusions, which is facilitated by printable "Student Exploration Guides" for each Gizmo. Again, I'd encourage you to check it out or take advantage of it if your school offers the service (my middle school did). If you save the guides, the language-based questions provide a good model for questions you can ask when using interactives such as the free ones available at BrainPOP GAME UP or learningscience.org, as well as for apps such as MarcoPolo Weather. Overall, this type of interactive provides a visual contextual support for you to target objectives around description, sequencing, and cause-effect, while providing students (particularly upper elementary, MS, and HS students) additional review of classroom topics. ExploreLearning's Gizmo on Tides and its Exploration Guide prompts knowledge-activating questions, observation and cause-effect statements about the relationship between the moon and tides, and would be useful when students are studying topics such as Earth, Sun and Moon.